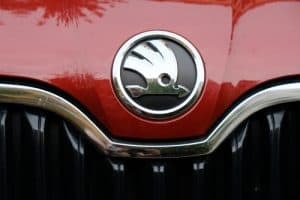 Czech automotive manufacturer SKODA has announced a record year for deliveries in 2018. The popular automaker achieved a 4.4 per cent annual upturn in delivery numbers to 1.253 million vehicles. Sales revenue for the businesses also increased by 4.4 per cent during the year to €17.3 billion (£14.9 billion). Meanwhile, operating profits reached a new high of €1.4 billion. In total, return on sales for the manufacturer reached a level of eight per cent in 2018, while overall return on investment for the business was 26.3 per cent. It paints a highly positive picture for the SKODA brand at present, with the company not now resting on its laurels. Indeed, a total of €500 million of direct investment into the company’s plants and facilities took place last year, while investment in R&D activities increased by 46.8 per cent. Looking to the year ahead, SKODA AUTO chief financial officer Klaus-Dieter Schurmann commented: “In 2019, we expect stronger headwinds, especially in some key markets. The company also plans the rollout of new models to expand its existing full-electric range, as well as investment in “new mobility solutions” and further internationalisation of the business in the years to come.